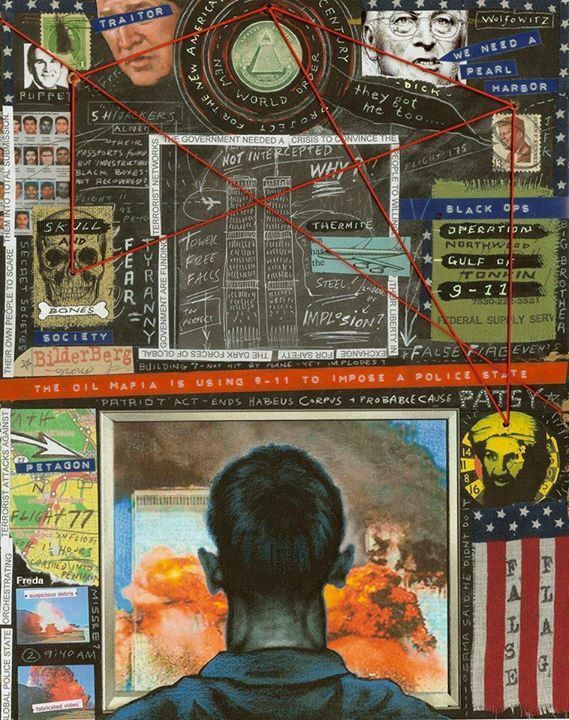 How Did This 9/11 Truth Art Make It Into The Museum? 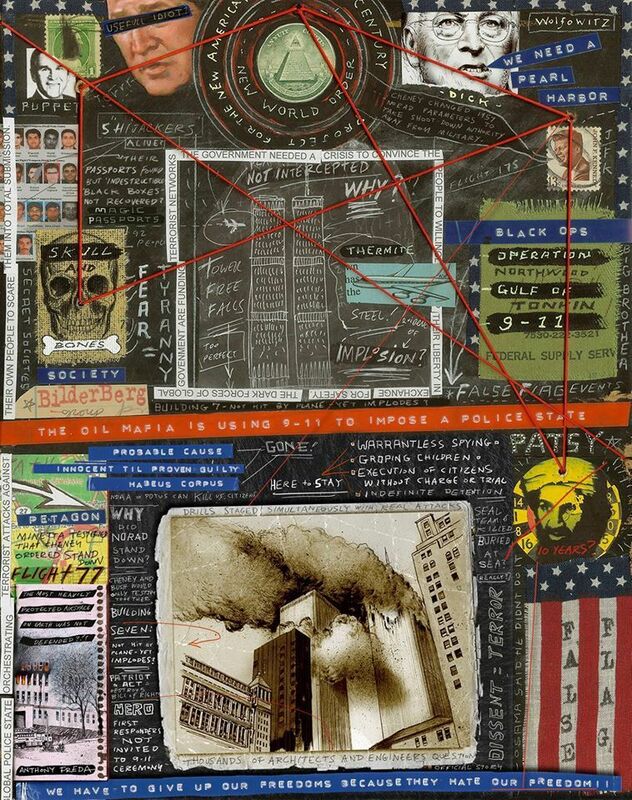 The National September 11th Memorial and Museum is a shrine to the official narrative, so why did they want Anthony Freda's 9/11 Truth Art? "Anthony Freda Studio at Ground Zero for the official meeting with the curators of the museum to acquire his art work entitled "Questions". 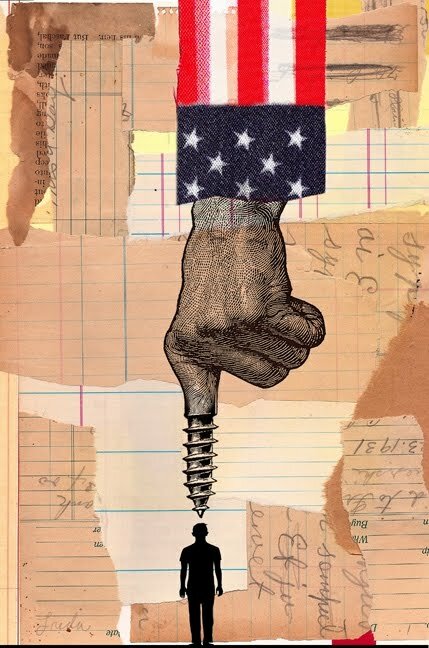 To be used in Behind Truth Art, the upcoming film by John Massaria"
TomT on Wed, 11/19/2014 - 10:58am. rm on Wed, 11/19/2014 - 10:33pm. TomT on Wed, 11/19/2014 - 11:16pm. rm on Wed, 11/19/2014 - 11:21pm. Cool. There are three or so there! TomT on Wed, 11/19/2014 - 11:38pm. Will the art ever be hung up publicly?Who's to say it won't be used as an teaching tool for visitors about "twoofers" and other "non violent extremists". I'm happy for the artist, and really like the work, but that museum has a billion miles to go to earn any shred of credibility from me. Satyavira on Wed, 11/19/2014 - 11:05pm. Great news! And don't forget that actual smoking gun evidence disproving the official fraud exists inside the NYPD Museum. The exhibit shows molten concrete which has an even higher melting point than steel. It's not in a hangar somewhere -- it's on public display in a museum! And not just any museum, but a police museum. 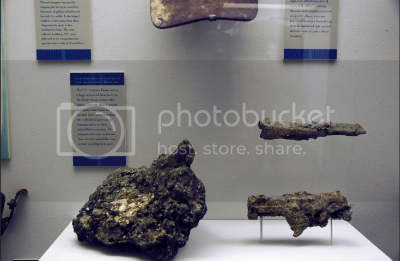 From the plaque on the wall: "... During recovery efforts, several handguns were found at Ground Zero, including these two cylindrical gun-casing remains and a revolver embedded in concrete. Fire temperatures were so intense that concrete melted like lava around anything in its path." *The curator for the museum was contacted a while back and admits that this is molten concrete. RL McGee on Thu, 11/20/2014 - 8:56pm. jkeogh on Thu, 11/20/2014 - 11:44pm. Excellent resource, jk. You can even read the sign on the wall for yourself. It boggles my mind how this evidence can be on public display essentially proving that fire was not the culprit. And how NYPD can turn a blind eye! Do you happen to know if this display is still at the NYPD museum? Or if it's been taken down or transferred to the new 9/11 museum. In 2011 several of us volunteers at A/E struck up a dialogue with the museum's curator. He seemed receptive and eager to look into the matter but the communication abruptly stopped. I trying to do an article on it. I wish someone from A/E would get an on-camera interview standing in front of the exhibit. Join me in politely asking the staff to explain the molten steel / concrete. RL McGee on Fri, 11/21/2014 - 4:59pm. Ask them what it's composed of. I asked Bart Voorsanger about the analysis. He said they never tested it. Why? "They were concerned that it might contain human remains." I don't understand why only a small number of connected people have access to these artifacts and why no independent studies have been conducted. kawika on Sat, 11/22/2014 - 9:05pm. Orangutan. on Thu, 12/11/2014 - 1:45pm. That story has been out a little bit now. The museum owns it now, but whether or not they will display it is another thing. Although even this is pretty milquetoast in many ways. 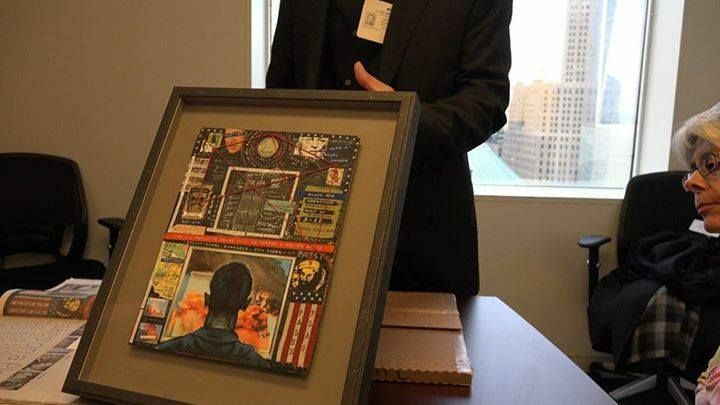 No building 7, ambiguous references to thermite, false flag, and the inaccurate phrase "tower free falls", Might be why they picked this particular painting, who knows. dtg86 on Thu, 12/11/2014 - 6:55pm. 911 Museum Donation accepted BUT may never show the art work, and now want the film footage hidden WHY? Orangutan. on Fri, 12/12/2014 - 2:24pm. Orangutan. on Sun, 01/18/2015 - 10:19am. rm on Sun, 01/18/2015 - 11:56am.